Cantine Campana is nestled in the hills of Piacenza among culture, tradition and great stretches of vineyards as an expression of quality wines which respect the Piacenza tradition which Gutturnio, Malvasia, Ortrugo and in still and sparkling. Gutturnio, either still or sparkling, is a new and fresh DOC wine, with its bright ruby colour and a dry taste. It finds its origins during Roman times, when, after dining, it was usually drunk in a two litres siver cup called “Gutturnium”, that was filled with wine and it would be passed from hand to hand as a symbol of brotherhood and friendship. (from wikipedia). 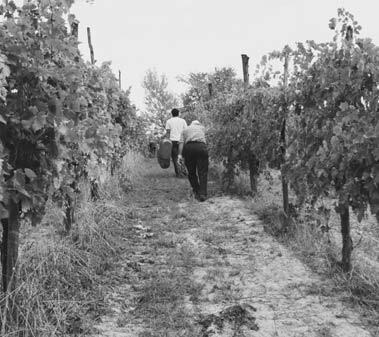 Ortrugo, either still or sparkling, is a DOC wine typically from Piacenza, with its light greenish straw colour and a delicate and characteristic aroma. From the 1970’s it became the typical white wine of the area, after being produced from local farmers. (from wikipedia). Finally, Malvasia Aromatica di Candia is another DOC certified wine with an either bright or lackluster straw colour and a characteristic aroma. If was first produced in the Ancient Greece. This wine is perfect for the typical Piacenza cuisine. Our company is located in Ciriano di Carpaneto Piacentino, a little Roman hamlet which was founded in the latter part of the Nineteenth Century. Not too far from Carpaneto Piacentino is possible to visit the stunning Mediaval Villages of Velleia and Castell’Arquato. Velleia Romana (460 masl. ), in Chero Valley, is an ancient village which name was chosen after a Tribe from Liguria, Veleiates, and it was founded in 158 b.C. 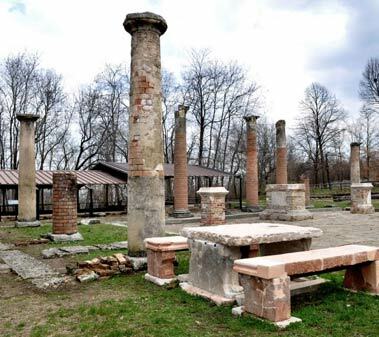 An economic peak was reached during Augustan times, when the village was very popular, even for its sodium bromide water. Every year, in July, it is possible to view Latin and Greek dramas and comedies thanks to the Festival Teatro Antico. 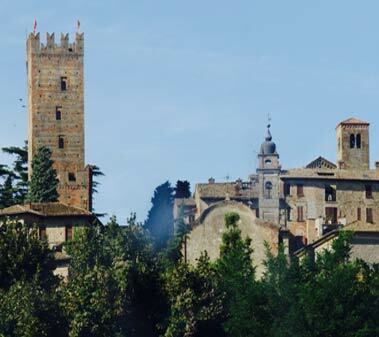 Another must see of the area, among the Piacenza Hills, is absolutely the culturally rich Medieval village of Castell’Arquato, the City of Wine. The historical centre is typically Medieval, and it is next to the Arda River, which starts from one of the hills of the area. It is therefore possible to walk along the village while admiring the Citadel, the Church and the Farnese Tower. Castell’Arquato is often a very popular place for culinary events, such as the Monterosso Val D’Arda Festival during the month of May, where it is possible to taste the typical wines of the area, in particular the “Monterosso”, which is a still and sparkling white wine with an intense and dry taste, and perfect for the characteristic food of the area. Other local and fascinating events in Castell’Arquato are the Medieval Exhibits, usually performed in September: these events are perfect for all the ones who are willing to live an unique Medieval experience. For any further information, please visit Castell’Arquato’s council website. It is also possible to admire the picturesque nature of the Piacenza Hills while driving or cycling, along with a stop in our cellar. We will be enthusiastic to welcome you and make you taste our high quality wines, and tell you the story behind it and the passion that leads us to produce even better wines, according to our magnificent tradition.